With competition from larger players like AmazonFresh, grocery delivery services face a dilemma: How do they differentiate themselves from the pack? And, more importantly, how do they retain customers? Inabuggy came up with a unique loyalty solution. The company offers cash back to its delivery customers on all orders — it doesn’t matter which grocer a customer chooses. To further encourage loyalty, Inabuggy offers an additional percentage of cash back once a customer places at least 10 orders. To further serve customers, Inabuggy allows for custom orders and special requests. Consumers may want to order bananas, for example, but may desire a few that are ready-to-eat and a few that will become ripe in a few days. These requests go to dedicated Inabuggy personal shoppers, who can visit more than one store for an additional fee. Either way, the shoppers make deliveries through Inabuggy-branded vehicles, which are designed to keep each food item hot and cold as needed. By keeping last-mile logistics in-house, Gleizer said Inabuggy has better control over the service. Gleizer also seeks to provide in-store pricing to consumers, but Inabuggy charges a fee for each delivery, plus an incremental fee for each additional store a personal shopper visits for a customer. Beyond providing convenience and choice to consumers, Inabuggy can provide grocers with insights and analytics to show what customers are purchasing and when. As a result, they can become more engaged and learn more about their customers. With this information, grocers can offer the right product lineup and determine which products to stock. Gleizer said that grocers can also maintain better stocking levels and sell more of the goods customers are seeking to buy. In addition, Inabuggy provides grocers with the ability to offer a click-and-collect program. 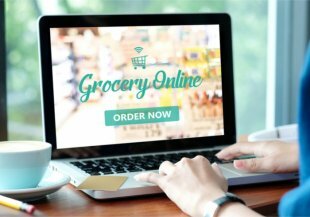 With this feature, customers can elect to pick up their items at a grocer’s brick-and-mortar location instead of having the items delivered to their home. However, Gleizer is finding that customers overwhelmingly choose to not make the trek to the store. Inabuggy seeks to work with CPG companies to help them better market their brands and products to consumers. The platform offers digital coupons to induce consumers to make purchases. Inabuggy also has algorithms that allow CPG brands to have their products show up first in product search results. Beyond these types of promotions, the company allows CPG brands to bring a common in-store marketing technique into the digital age, such as offering product samples through Inabuggy. In the future, Gleizer seeks to expand the breadth and reach of the service. He wants to grow the company and increase its product offerings by rolling out delivery for other verticals, such as pet products, prepared meals and even meal kits. He said the advantage for meal kits, in particular, is consumers can arrange to have them delivered same day — as opposed to waiting, say, a week for a meal kit delivery to arrive. The news comes as meal kits are entering the grocery aisle. Blue Apron, for example, recently announced it started selling meal kits at Costco. Walmart, too, has begun selling meal kits and “one-step meals” in more than 250 of its brick-and-mortar stores. Weight Watchers also plans to roll out meal kits in grocery stores. The company will sell them under the “WW Healthy Kitchen” brand name.